Are you looking for a cosy spot in a typical London borough? Want to live like one of the locals? Good news, this suave flat might be right up your alley. You will love the kitchen. It's fully-equipped and ready to cook up a storm. It's only missing a chef with superb cooking skills. We think it’s ideal for students. Tired of commuting? The campus of Queen Mary University of London is within walking distance. That kitchen is calling out for a real cook. The charming decor. Love the slick mirrors. Queen Mary University is only a 25-minute walk away. It's time to flip a coin – there's no dishwasher. 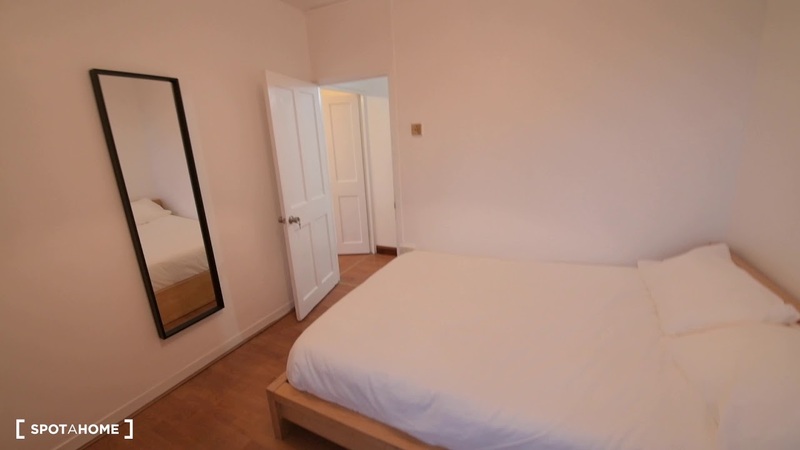 This is a neat 2nd floor, 4-bedroom apartment on Tent Street, London. It's got a cool kitchen, lovely decor, and it's within easy reach of Queen Mary University. We think this apartment is perfect for students. In Tower Hamlets, you can forget about the long, dreary commute and never be late to class again. Cooking a delicious dinner – no more microwave meals. Soaking up the decor – simple yet effective. Walking to school – skip the commute. There's a washing machine but no dryer – no probs, just set up a drying rack and you're good to go. 2nd floor and no elevator? Work those legs! If you need to cancel a confirmed booking, there’s no way to reclaim any of your money. Your 1st payment will go to the landlord as planned, and you will also be unable to reclaim your one-time reservation fee. Sorry.